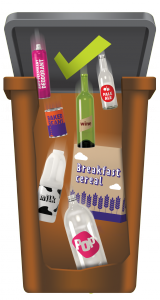 University of Nottingham > Blogs > Off Campus > Advice > Welcome to off campus living! Hooray, Autumn term is finally here, and we are in the process of welcoming new and returning students to off campus living in Nottingham and the surrounding areas. Read on if you are making that unforgettable step of moving out of halls into your first student house and becoming part of the local community. Introductions- Why not introduce yourself to your neighbour? Saying hi and getting to know your neighbours can make for a really enjoyable year. 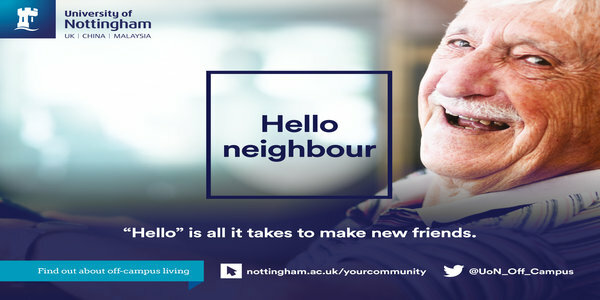 We have developed a brand new Hello Neighbour campaign and we hope you will see our posters around campus or in Lenton itself as a reminder to say hello and embrace the fact you are living amongst so many different people! Noise- Think about your neighbours and how their lifestyle may differ from yours. If you have a gathering of friends please remember to always let your neighbours know in advance, keeping the windows and doors shut and keeping any noise to a reasonable level. When students leave their homes to go to club nights and return in the early hours, this is often the time when we get calls about loud noise in the streets, particularly in Lenton. Please keep noise down when you are travelling to and from the city centre. Your neighbours will probably be going to bed earlier than you; many will have children or will be getting up early to go to work. Safety- Nottingham is a safe place but there are a few things you can do to keep yourself safe including keeping your doors and windows locked to protect against theft, going out and coming home in pairs or groups and ensuring that you only use licensed taxis. For more information have a look at our safety page. DPPO- Nottingham is subject to a Designated Public Places Order (DPPO) which means that alcohol can be confiscated if you are caught drinking it in the street. This order helps to keep issues such as ASB and littering at bay so please respect this and don’t drink or litter the streets. 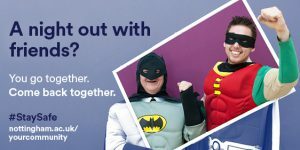 Volunteering- many students find that a great way to fully integrate into the Nottingham community is to get involved in some local volunteering opportunities. There are some fantastic projects that are invaluable for local people and really benefit from student input. Find out more about the volunteering opportunities that are on offer by contacting the Students’ Union Volunteer Team. Sign up for our off-campus blogs and comment to let us know your views. 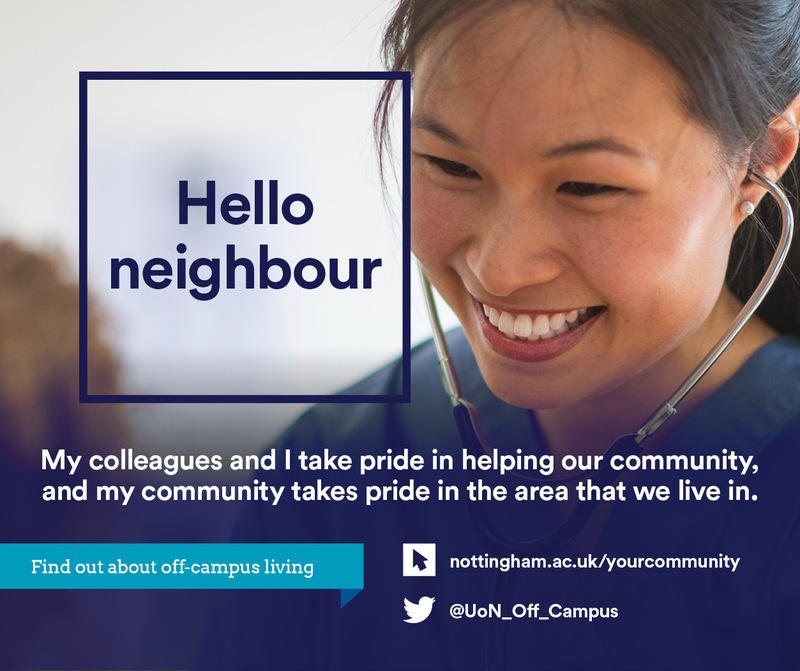 Why not follow @UoN_Off_Campus on Twitter for up to date community information and advice? More detailed information on living in the community and being a good neighbour can also be found on our webpages. Welcome back and have a great Autumn term!